SAN JOSE, Calif.--(BUSINESS WIRE)--Lumileds today announced the appointment of Dr. Jonathan Rich as Chief Executive Officer. 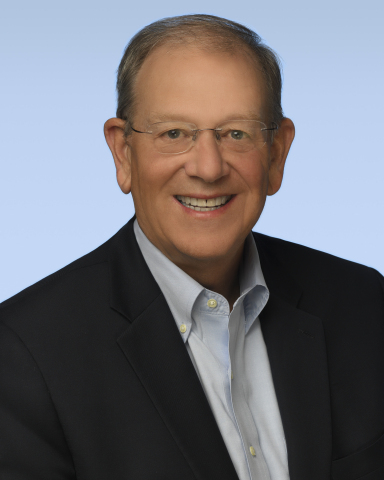 Dr. Rich most recently served as Chairman and CEO of Berry Global, Inc., a Fortune 500 specialty materials and consumer packaging company, from 2010 to 2018. Dr. Rich succeeds Mark Adams, who is stepping down as CEO and from the board of directors but will remain in an advisory role to the company. Before Dr. Rich held the position of Chairman and CEO of Berry Global, he was president and CEO at Momentive, a specialty chemical company headquartered in Albany, New York. Prior to that, he held positions with Goodyear Tire & Rubber Company, first as President of the Global Chemicals business and subsequently as President of Goodyear’s North American Tire Division. Dr. Rich spent his formative years at General Electric, first as a research scientist at GE Global Research and then in a series of management positions with GE Plastics. He received a Bachelor of Science degree in chemistry from Iowa State University and a Ph.D. in chemistry from the University of Wisconsin-Madison. He has been a visiting lecturer at Cornell University Johnson School of Business since 2017. For automotive, mobile, IoT and illumination companies that require innovative lighting solutions, Lumileds is a global leader, employing more than 9,000 team members operating in over 30 countries. Lumileds partners with its customers to push the boundaries of light. Apollo is a leading global alternative investment manager with offices in New York, Los Angeles, San Diego, Houston, Bethesda, London, Frankfurt, Madrid, Luxembourg, Mumbai, Delhi, Singapore, Hong Kong, Shanghai, and Tokyo. Apollo has assets under management of approximately $280 billion as of December 31, 2018 in private equity, credit and real assets funds invested across a core group of nine industries where Apollo has considerable knowledge and resources. For more information about Apollo, please visit www.apollo.com.